HomeThrowbackThrowback: “Nightmare” by Dry Kill Logic! 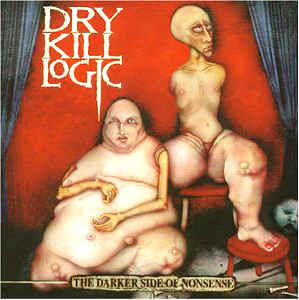 Westchester County New York quartet formerly known as Hinge and forced to rename due to another band of the same name, Dry Kill Logic were picked up by Roadrunner Records and dropped “The Darker Side of Nonsense” in 2001 as their major label debut. It went on to shift 100,000 copies and see them join the likes of Spineshank, Kittie and Devildriver upon stages around the Globe. What followed was a pair of choice albums in “The Dead And Dreaming” and “Of Violence And Vengeance” before radio silence in 2008. However, they are now teasing new material… …but this thrownback cut is back to the start! “Nightmare”!